Fieldwork is a service and operations management solution designed specifically for pest control businesses. Deployed within the cloud and supported by free native mobile apps for iOS and Android, Fieldwork enables controllers, managers and pest control technicians to work remotely and still function offline. Syncing data back into the system once web connectivity is restored, users can schedule and view appointments with the ability to look at technicians' daily, weekly or monthly job agendas side-by-side. A centralized calendar allows new, one-time, or recurring appointments to be created with a single click, while a work pool feature makes unassigned jobs available for selection and Google Maps integration plots appointment locations geographically. Fieldwork also incorporates a CRM for adding customer information such as contacts, service histories and billing details. Custom fields allow complex data requirements to be defined and captured, while customers spanning multiple locations can be accommodated for. Key core features also go on to include billing and invoicing with online payment processing, chemical tracking and trend reporting options backed by barcode scanning for traps or stations. Best Pest Program On The Market Today! Once I went through the initial switch over ,life has been easier for my company. I love the team at Fieldwork and their willingness to help my business be successful by providing their time,input and the constant helpful updates to their program.My only regret was waiting so long before actually switching over.There is so many things I love about this program.There are reports for everything practically. This program is great for California PCOs.I love the mobile app for our techs,I love how accessible the Fieldwork team is,no matter how many questions you have they are there for you.There is so much you can do with this program .The one thing I think that makes this program the best out there is the fact the Fieldwork team listens to their customers and their needs.They are always adding or tweaking the program based on the needs of its customers.Switching over to Fieldwork has made running my office and company that much easier and less stressful and most importantly has helped bring my cost down. There is so many things I love about this program.There are reports for everything practically. This program is great for California PCOs.I love the mobile app for our techs,I love how accessible the Fieldwork team is,no matter how many questions you have they are there for you.There is so much you can do with this program .The one thing I think that makes this program the best out there is the fact the Fieldwork team listens to their customers and their needs.They are always adding or tweaking the program based on the needs of its customers.Switching over to Fieldwork has made running my office and company that much easier and less stressful and most importantly has helped bring my cost down. The only con for me is the time difference .I am in California and FieldworkHQ is based out of Chicago.I just make sure I contact them early in the day if I have any questions or concerns. Integrations was difficult due to our former software being unable to provide us the required information. The team at Fieldworks was very helpful with this process and we were able to get it all converted quickly and accurately. 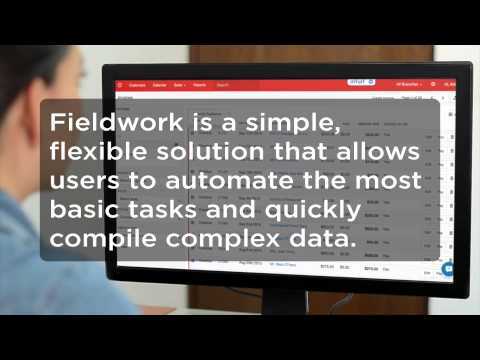 Fieldwork’s software is easy to use and intuitive. Scheduling is very visual which my customer service team loves. The technician app is fast, simple, stable, and it works offline. The reports are quick to run and easy to read. The support is amazing. Their team is responsive and great to work with. I’m loving working with Fieldwork.Intuitive. Easy to use. Consistent development. Intuitive. Easy to use. Consistent development. Setting up is a big job but the online help works with you all the way! Software shouldn't be difficult, FeildWork has done an amazing job of keeping it simple and genuine! Haven't found any yet after 2 years of use. Customer support has done an impressive job with response time and the in-app chat feature was a great add-on. Fieldwork is an online service management system supported by native apps for deployment within pest control businesses that wish to grow a customer base while adopting a paperless approach to operations. Schedule one-time or recurring appointments within the centralized Fieldwork calendar and view locations plotted on Google Maps, issuing automated appointment reminders and pre- printed tickets where required. Barcode scanning enables trap data to be captured without the need for proprietary handheld devices, tracking performance and evidence to run detailed trend analysis, visualized within portal reports. Fieldwork mobile apps for iOS and Android platforms allow for appointment viewing and scheduling, customer registration, work order creation, service history viewing, digital signature capture and more. The companion smartphone apps allow technicians to work remotely, supported by an offline mode that syncs data back into the system when online connectivity is restored. Below are some frequently asked questions for Fieldwork. Q. What type of pricing plans does Fieldwork offer? Q. Who are the typical users of Fieldwork? Q. What languages does Fieldwork support? Q. Does Fieldwork support mobile devices? Q. Does Fieldwork offer an API? No, Fieldwork does not have an API available. Q. What other apps does Fieldwork integrate with? Q. What level of support does Fieldwork offer?